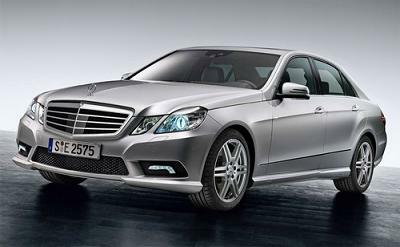 The E-Class Saloon comes in three design and equipment lines: SE, Avantgarde. All model lines are beautifully appointed with generous equipment ranging from Nappa leather-trimmed gearshift to LED tail lights, automatic climate and Parktronic with Advanced Parking Guidance.. The SE model’s interior is distinguished by Artico artificial leather upholstery in black with stamped aluminium trim. Exterior features include 16” 5-twin-spoke alloys. In addition, the SE offers the optional Exterior Styling Package, perforated brakes with Mercedes-Benz branded callipers and a stylish apron. Suspension is also included, lowering the car by 15 mm. Business contract hire prices are subject to VAT at the prevailing rate. Personal car leasing include VAT at the prevailing rate. 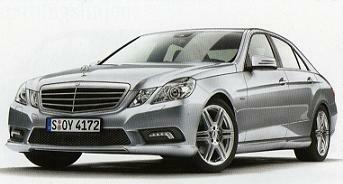 All Mercedes car pictures and/or photos and car descriptions on this site are for illustration only.